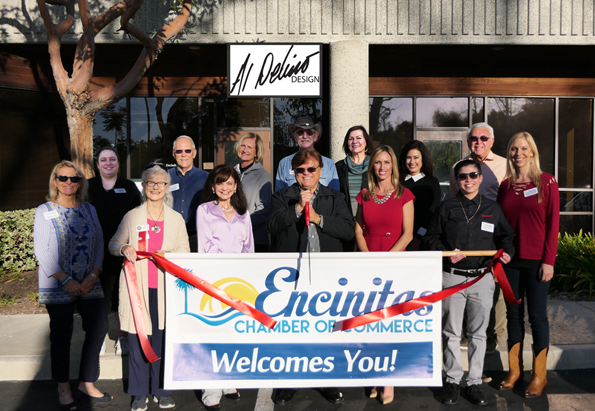 Creative director and art director founder of Al Delino Design in Encinitas since 1997, enjoys working with clients in all areas of design promotion for the small business owner. Delino, an alumni of SDSU, began his career in graphic design in 1977 as an Art Director at KERO Bakersfield then for various broadcast television affiliates on the west coast. Finally arriving back in San Diego to work at KUSI. His work has been honored with many regional and international design awards including six EMMY nominations. He was awarded with a Silver Circle EMMY Award in 2010 and in 2013 a Hispanic Marketer of the Year Award through the San Diego Advertising Club. Al Delino Design opened its door in mid 1997, with clients such as; Chicken of the Sea, Wal-Mart, Wells Fargo, The City of Union City and several broadcasting assignments that helped leave his past life in the field behind him. His reputation locally has grown with referral business from clients in the community that have benefited from his many years for print design experience. Al is also an educator. For the past ten years he has taught classes in: graphic design, packaging design and advertising classes privately and at local community colleges.He’s served on various boards including: The National Academy of Television Arts & Sciences, the Encinitas Pony & Colt League and the Encinitas Chamber of Commerce.